Lock in a great price for Katamah Guesthouse – rated 9.4 by recent guests! It was everything that we had hoped for and more. The place was like home, in that you could keep to yourself in your lovely cabin, but it was also a community, with a sweet common area for cooking/eating. Three adorable dog buddies accompanied you for morning walks on (their) beach. free bikes available for exploring the quiet area of the island. We loved the staff and the beautiful landscape around the property. We enjoyed our room, the Marley, and the easy beach access. The restaurants were very nearby and the food was delicious. There is also a shared kitchen space if you prefer to cook. The grounds were very well kept and private. A wonderful vibe of community. Our driver, Philip, was great for tours and conversation. We loved the owners and the property was absolutely beautiful. It had a very nice beach and the design was amazing! We absolutely would stay here again! Very comfortable and peaceful space. Quiet and calming. Management is friendly and very keen on ensuring we were fine. Our room was nice and the entire experience was really what i was looking for; secluded but not hidden, and management and staff make you feel free to be you. The property is rustic, scenic and tranquil. Lovely access to the beach. All in all, we had a great time! We had an amazing stay. I can't fault anything. The staff were amazing the room was lovely with lots of charm. We can't wait to go back. Restaurants are a short walk away along the beach. We stayed here at the end of July, the beach wasn't crowded. Everything about our trip was very relaxing and chilled. I cannot recommend this enough it was amazing. Loved the originality and the attention to detail. Very peaceful and ideal for relaxing. Quiet, low key vibe of property and town. Romantic setting. Enjoyed the outdoor shower. Great to have a kitchen available. Room was small, but perfect. Hosts were super friendly and gave great advice for local hot spots. Easy check in and out process. Great beach access. We loved everything about this place. Its kinda of like camping on the beach in a bungalow. Amazing staff. Restaurants close by walking distance. 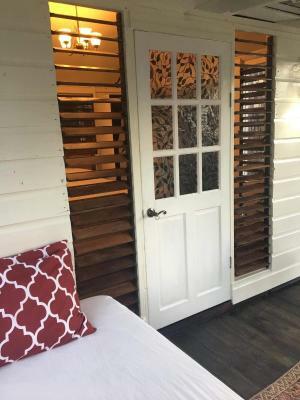 Katamah Guesthouse This rating is a reflection of how the property compares to the industry standard when it comes to price, facilities and services available. It's based on a self-evaluation by the property. Use this rating to help choose your stay! 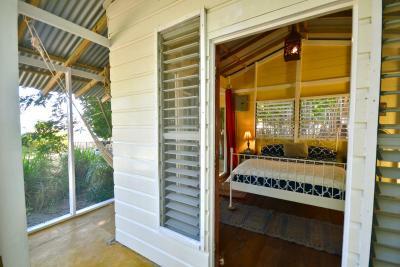 The property is consisted of of villa rooms and cottages with garden views, as well as sea view cabins and family suites. Katamah Guest house also offers camping. 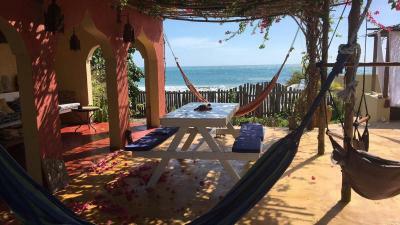 The guest house offers trips to the rustic-wooden Pelican Bar built in the sand in the middle of the ocean and to the Black River known for its unique mirror-like waters. 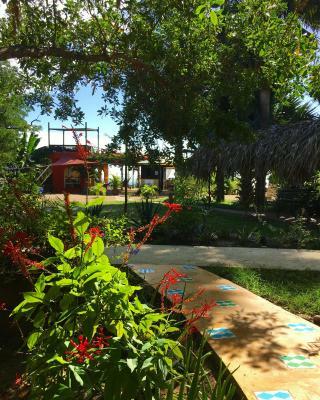 Katamah Guest house also features guided trips to Appleton Rum Factory. Pedro Bay is 10 minutes’ drive away from Katamah Guest house. Kingston town center is 3 hours’ drive away and Jamaica International Airport is 56 mi away. This property is also rated for the best value in Treasure Beach! Guests are getting more for their money when compared to other properties in this city. When would you like to stay at Katamah Guesthouse? House Rules Katamah Guesthouse takes special requests – add in the next step! 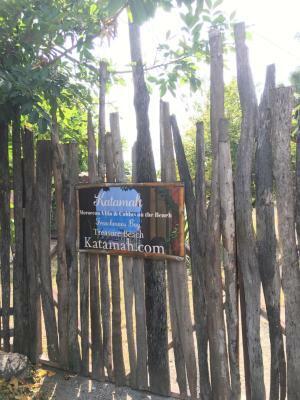 Katamah Guesthouse accepts these cards and reserves the right to temporarily hold an amount prior to arrival. Please inform Katamah Guesthouse of your expected arrival time in advance. You can use the Special Requests box when booking, or contact the property directly using the contact details in your confirmation. i can not think of one thing that i did not like. -For this price basic breakfast could be included. 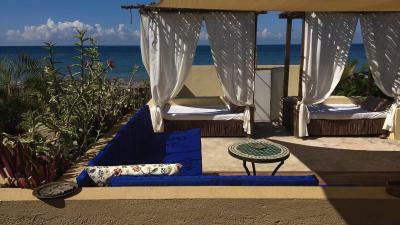 -Do not expect any direct seaview from the rooms/bungalows. This may be a little bit misleading when booking since it is indicated that you will have seaview. Seaview should be taken as: 'on the beach and close to the sea but without direct seaview from the room (there is a fence and trees in between)'. The common areas however have seaview and there is plenty of room to hang out, but there is none in the individual rooms. 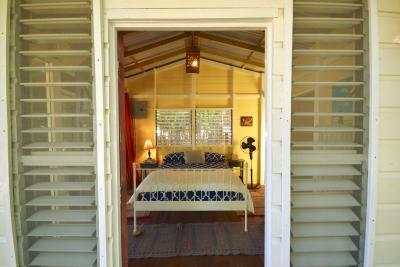 It would be better to say that the bungalows are nicely located 'on the beach' to avoid surprises. 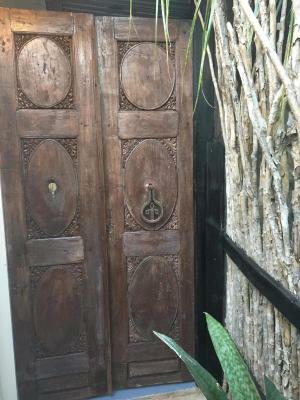 Nevertheless, your stay will be beautiful and there is direct access to the beach from the guesthouse itself. -Shared kitchen should open earlier in the morning. What's not to like ? Couldn't think of anything!! The drive from the airport is long and bumpy but worth it. Katamah is the height of relaxation.